Two complementary books for employers and their professional advisers.<br> <br> <b>Employee Benefits & Expenses is currently being prepared for publication, and will be available in the second half of April.</b><br> <br> <b>Employee Benefits & Expenses</b> - written by authors from Mazars LLP and Qubic Tax - is the definitive work for the tax treatment of employee benefits. 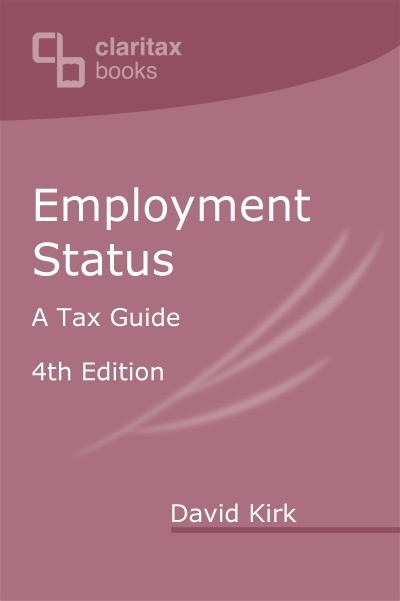 At nearly 1,000 pages, this work offers the most comprehensive single-volume guide to this important topic.<br> <br> <b>Employment Status</b> offers the most thorough analysis available of this subject matter, where the costs of error can be enormous.<br> <br> Visit the individual book pages for full tables of contents and to view extracts from the books.<br> <br> Save £50 by buying the two books together. Two complementary books for employers and their professional advisers. Employee Benefits & Expenses is currently being prepared for publication, and will be available in the second half of April. Employee Benefits & Expenses - written by authors from Mazars LLP and Qubic Tax - is the definitive work for the tax treatment of employee benefits. At nearly 1,000 pages, this work offers the most comprehensive single-volume guide to this important topic. Employment Status offers the most thorough analysis available of this subject matter, where the costs of error can be enormous. Save �50 by buying the two books together.